Available in multiple colours, these wreaths are elegant and affordable. 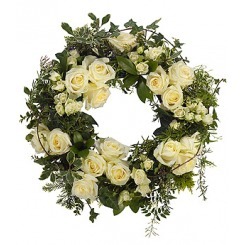 A beautiful wreath of pure white flowers with a selection of greenery. Please note that all flowers are subject to availability and substitutions may be made at the florist's discretion. 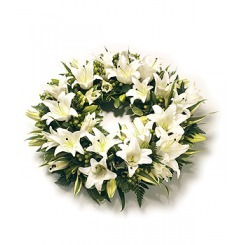 A stunning white lily wreath.